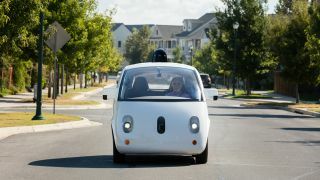 The onward march (or rather drive) of autonomous vehicles shows no signs of slowing down, with proposals under consideration in California to allow cars without any human passengers or drivers on to public roads for the first time. Dozens of companies are busy testing their self-driving tech in the Sunshine State, which has regulations favorable to the fledgling industry. But up until now, vehicles haven't been able to take to the streets unless they had a back-up human driver on board, ready to take over should something go wrong. That requirement could be removed away next year, although of course there would still be plenty of restrictions and safeguards in place – the roads of California won't suddenly become clogged with fleets of empty self-driving vehicles, and interested companies will still have to apply for road space and permits. The revised regulations put forward by the California Department of Motor Vehicles would also allow ordinary members of the public to clamber on board autonomous vehicles for the first time. Approval will also be required by the National Highway Traffic Safety Administration after a period of consultation. If the plans get the go-ahead, it's going to be a significant moment in the development of self-driving car technology – vehicles on the road for the first time without a driver at the wheel. Coincidentally, earlier this week Nvidia unveiled an upgraded AI supercomputer capable of piloting a car all by itself. Most cars at the cutting edge of autonomous technology are currently level 4, capable of completing whole journeys in most conditions; in difficult conditions they pull over and wait for help. The highest stage is level 5, full autonomy in all conditions, where the car won't ever need or want human help, and old-fashioned hardware like the steering wheel can be removed completely. Are you ready for this year's Cyber Monday sales extravaganza?